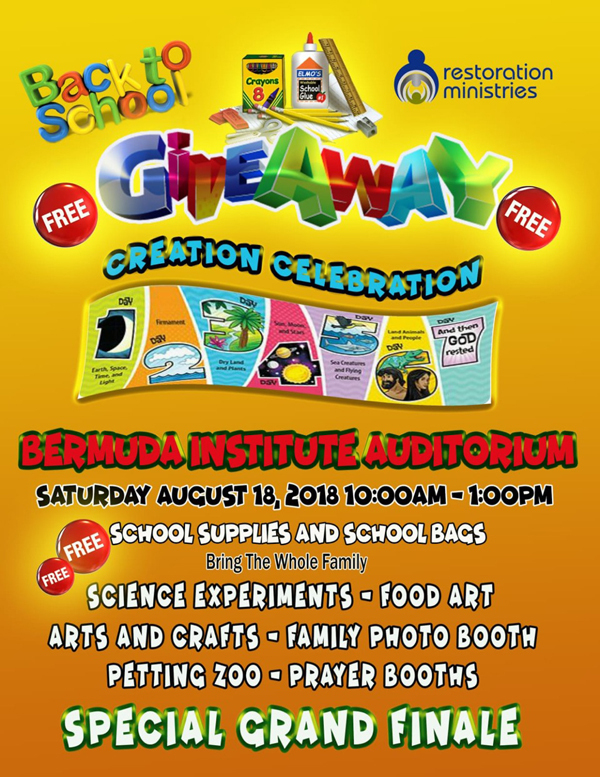 Restoration Ministries, located at the Bermuda Institute Auditorium on Middle Road in Southampton, will once again be hosting their annual Back to School Giveaway. This year the event which will take place between 10AM until 1PM on Saturday, August 18th. “The Restoration family will be spending the entire time focusing on fun time for the children and family members and will include school supply giveaways, science experiments, food art, arts and crafts, family photo booth, petting zoo, prayer booths and a special Grand Finale,” a spokesperson said.